Willian Sidney Smith: White Collar Criminal Defense Attorney | Smith & Kramer, P.C. William Sidney Smith is a shareholder of the firm. He practices primarily in the areas of agricultural law, business law, litigation, criminal law and taxation. Mr. Smith graduated with High Distinction and Order of the Coif from the University of Iowa College of Law in 1968. He is a Certified Public Accountant and has been a frequent lecturer on taxation law at Drake University Law School. Mr. Smith is a past President of the Blackstone Inn of Court of Iowa and former Board Member of the Lawyers Trust Account Commission with Supreme Court of Iowa. 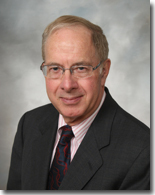 He has also served on the Iowa Bar Association Tax Counsel.